On tonight’s GAME OF THRONES the show was another great one; the penultimate episode of season 4 did not disappoint. It was all about the epic battle for Castle Black between the Night’s Watch and Mance Rayder’s Wildling army. I cannot wait till next week’s final episode of season 4. The next episode is called, “The Children” and we have managed to get our hands on some juicy spoilers and a sneak peek video of next week’s episode. On tonight’s show the episode was about the “Battle of Castle Black” between the Wildings and the Night’s Watch. Mance sent an advance team to try and defeat the Night Watch. Jon organized the defense around archers in the towers and a line of fighting men. The advance team was not successful and Mance realized he had to attack the Wall. Much more happened! If you missed the episode you can read our full and detailed recap, right here for you. HBO’s Official Synopsis: “An unexpected arrival north of the Wall changes circumstances. Dany (Emilia Clarke) is forced to face harsh realities. Bran (Isaac Hempstead Wright) learns more of his destiny. Tyrion sees the truth of his situation.” Written by David Benioff & D. B. Weiss; directed by Alex Graves. 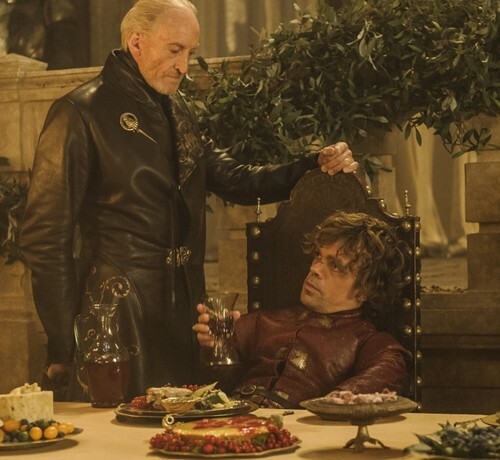 On the next episode there is suppose to be a showdown between Tyrion and Tywin Lannister in the season finale, and if it’s following the book’s story, that means we’ll end up with Tywin’s death at the hands of Tyrion. Tyrion will have to flee Westeros because he’s wanted for murdering his father and his nephew Joffrey. If they follow the book the unexpected arrival North of the Wall the synopsis speaks about will be Stannis Baratheon. He will arrive just in time to crush Mance Rayder’s army. Stannis will stay and negotiate a settlement with the wildings. Stannis’ motivation to save the wall is to get Jon Snow to support his claim to the throne. The Game Of Thrones Season 4, Episode 10 “The Children” airs on HBO on June 15th, 2014. Check out the preview videos from episode 10 below and let us know in the comments below what you think! Doesn’t this preview look intriguing! We can’t wait to see what becomes of all our favorite characters — and we’re also so interested to see what Daenerys does with her dragons. Will she finally unleash them on the enemies she’s been out to get for so long? And what will become of Tyrion? Let us know what you think of the video!